John Ralston once paid Joe Kapp the highest compliment that you can pay a football player. When asked to evaluate his ability, Ralston said that Kapp was the only football player he had ever seen who could start at all 22 positions for his team. He wasn't kidding. Kapp led the 1958 Golden Bears to the PCC conference championship and the Rose Bowl with very little help from his scrappy but undermanned teammates. In the 1959 NFL Draft, only one of Kapp's teammates was selected - center Frank Doretti, in the 26th round. In 1960, only halfback Wayne Crow was picked (in the 8th round, by Chicago). Joe Kapp grew up all over the place - New Mexico, San Francisco, Salinas, Newhall. As a seventh-grader in Salinas he accompanied his class on a field trip to Berkeley and fell in love with the first university he had ever seen. Following a star career in both basketball and football at Hart High, he made an easy decision to come to Cal and play initially for the legendary Pappy Waldorf. Probation left the cupboard nearly bare for Waldorf's successor Pete Elliott, who joined Cal from Nebraska in 1957. The Bears struggled to a 1-9 record that year and Kapp struggled too, throwing ten interceptions in only 77 attempts. What changed between his junior and senior seasons? Wasn't the players - there weren't a lot of new faces contributing for the Bears in '58. What changed was that Joe Kapp became a great leader, and refused to go through another losing season. Elliott decided to feature him on more run/pass options, and Kapp usually chose the run. He threw only 117 passes all year, though he completed 56.1% of them. He did lead the PCC in rushing, carrying 152 times for 616 yards and five touchdowns. Above all, he intimidated Cal's opposition by running over opposing linebackers and calling out anyone who dared talk or take a cheap shot at his teammates. After two losses to open the season - to UOP and Michigan State - Cal rolled past Washington State, Utah, USC and Oregon. In the Trojan game, Kapp challenged the SC defense to a fight after a late hit, and guided the Bears to a 14-12 upset. Cal came back to earth the following week, losing to Oregon State 14-8 in Corvallis, but then recovered to win their final three in close fashion, over UCLA, Washington and Stanford. All the while, it was Kapp - throwing jump passes, running around end, and sometimes serving as lead blocker after pitching to Jack Hart - who was at the center of virtually everything good that happened to the Bears. He was named 1st team All-America by Time Magazine and the Football Writers of America. He was also named winner of the Pop Warner award as the top CFB senior on the west coast. Kapp also played for Pete Newell's legendary basketball teams as a reserve guard. One great story from those basketball days illustrates why Kapp was such a tremendous leader. In a 1958 game against USC, certain Trojan players hurled racial taunts at Cal's Earl Robinson, the only African-American on the Bears. Kapp watched the proceedings from the bench, his anger rising. At halftime, Kapp ran up to each of the offending Trojans and told them in colorful language that they should cut it out or face the consequences after the game. The taunting continued, and after the game coach Pete Newell noticed that Kapp was missing from the Bears' post-game huddle. He was instead inside the USC locker room, making good on his promise to exact revenge with his fists. That's Joe Kapp in a nutshell. That's how he put an entire team on his back all the way to Pasadena. That's how he won Grey Cups after the NFL turned its back on him. That's how he then took Minnesota to a Super Bowl on guts and determination. That's why he refused to accept the award as Vikings' MVP - because he didn't believe in the concept of individual awards. The only thing that has ever mattered to Joe Kapp was the team. Look, he was a train wreck of a head coach, spending too much time leading cheers and not enough time preparing for the opposition. But he believed in the team, and his teams believed in each other enough to produce The Play and a memorable upset of Stanford in Kapp's final game. The best Joe Kapp anecdote I've ever heard (and I've never been able to find out if it's true), concerns his philosophy of playing QB. Apparently, he was once asked why, when he chose to run the ball, he never opted to run out of bounds rather than take on a linebacker or safety. His response: "Running out of bounds is for White boys." Like I said, I have no idea if this is true or not, but it sure does fit the personality of the guy I would have put at #1 on your list. The Bear will not quit, The Bear will not die indeed. My dad took me to the USC game in '85 when CAL upset USC. I was just a little guy and it was that very day that I began a lifetime of serious CAL fandom (for better or for worse). Anyway, I wrote a letter (with a little help from my dad) to Joe Kapp telling him how much I enjoyed the game. He sent me back an autographed picture with the inscription "To Josh, a real Bear, Joe Kapp." I still have it to this day. Josh - great story, thanks for sharing. I really hope he gets his tequila before long. This guy is a true bear that bleeds blue and gold. One of those people that will inspire others long after his time. did berkly fire joe kapp as head coach? no wonder he is number 2. 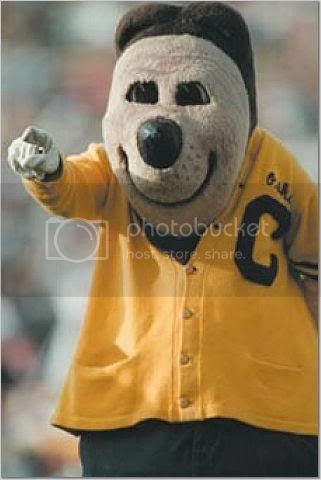 I'm very pleased that Joe's son Will will be enrolling at Cal and playing for the Golden Bears. It would not have seemed right to see him playing for any other university. I can only imagine how excited Joe must be. I HEARD that "White Boy" comment about running out of bounds. It was on the sidelines right after a BC Lions/Calgary Stampeders game in the CFL in 1964. It was great! I remember once in 1993, when i saw a game, a guy and I guess that he's the one of Pop Warner award as the top CFB senior on the west coast.